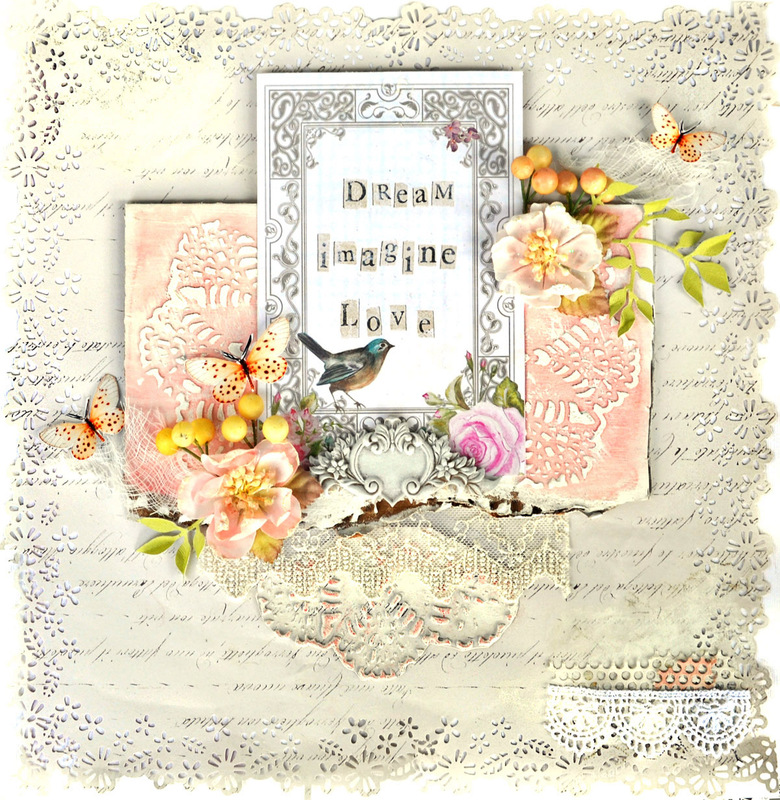 The Kaisercraft True Romance from the Flying Unicorns Sept Kit - 50 Shades of Summer has a whole bunch of amazing journal cards that can be used to create art with no photo image. 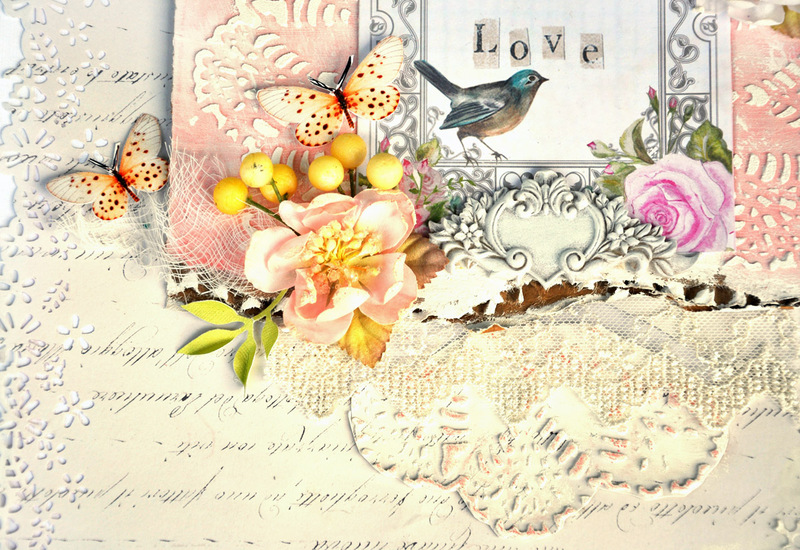 I was struck by the elegance of these papers and wanted to create something for the wall without using an photo image. So then I thought this would be perfect for a challenge over at the Flying Unicorns. You must create a piece that doesn't use a photo image. It cannot be a card or an altered piece. 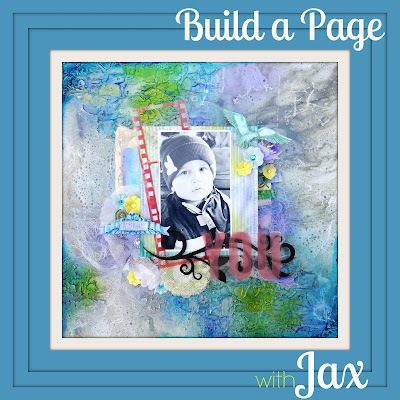 BUT it can be a journal page, a canvas, or a layout. 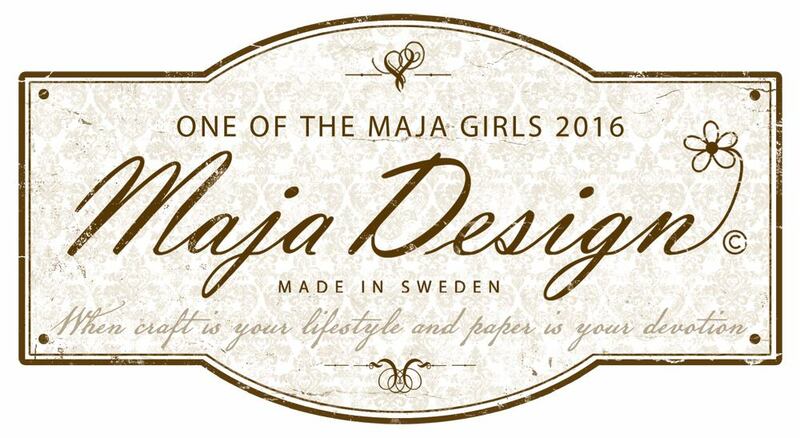 And here is the prize that is being offered so kindly by the Flying Unicorns. So come and join in the challenge. Use your own stash - no need to buy a kit. The end of summer is not a farewell, but an embrace of memories that will live on. That hot sun as you played in the water, and those steamy nights where you may have sipped wine in the yard, enjoying the smell of the bbq as you entertained friends and family . Lazy days by the pool and family vacation time. Sleeping in, as the yellow sun played in the skies of blue to late nights where only the shinning stars above were the light source. From the boldest blues and reds to the muted greens and purples it was 50 Shades of Summer. 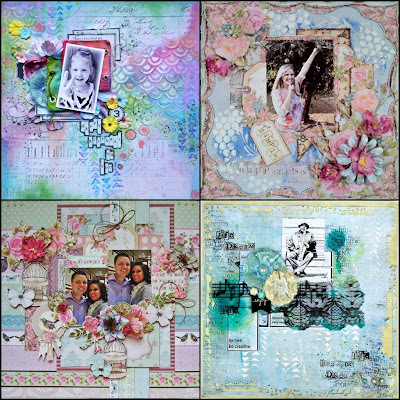 Flying Unicorn proudly presents September's Kit of the Month with an ensemble from Melissa Francis Classic Elegance Collection,True Romance from Kaisercraft and 13@rts Faces of Spring. 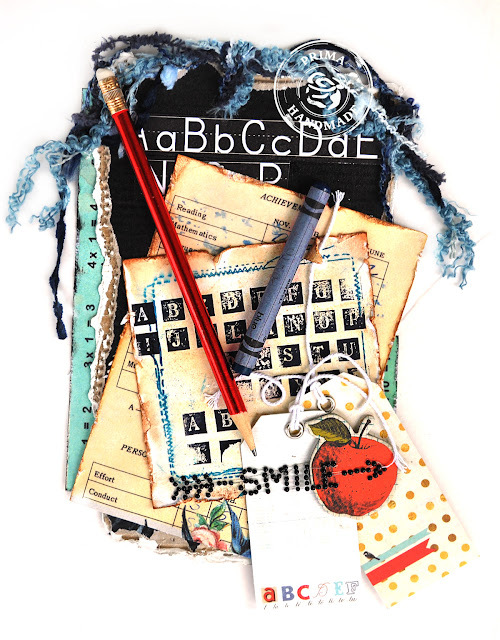 Not only are we unique in the fact that scrapbooking should be a passion and not an obligation that we have no sign ups but it is first come first serve - Our kits have an Off the Page Project and this month is no different we have included the Tim Holtz Assemblage Clock for your creative pleasure. Prima's new collection, School Memories. This is perfect as kids and teachers start school shopping, and get prepared to head back to school. 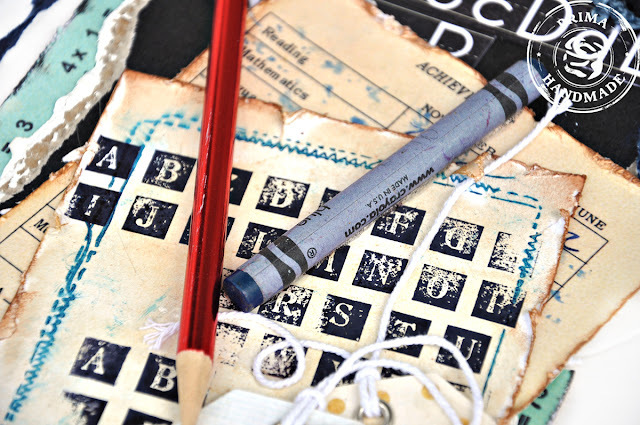 Perhaps you have a new grad heading off to college for the first time and all those childhood school years are starting to flood your memory along with tears flooding your eyes. Capture those emotions on paper with this collection. I know all the kids are headed back to school so this is perfect for teacher. 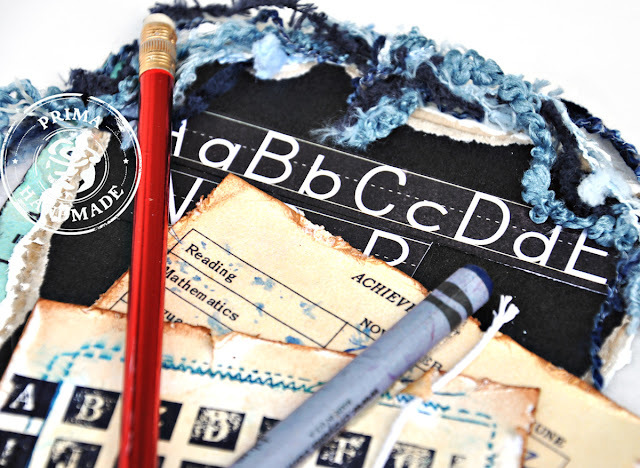 If you have little ones at home, it's time to think about gifts for the teacher. Make one! Prima will help. I glued a pencil and crayon to my tag. Super heavy duty glue. 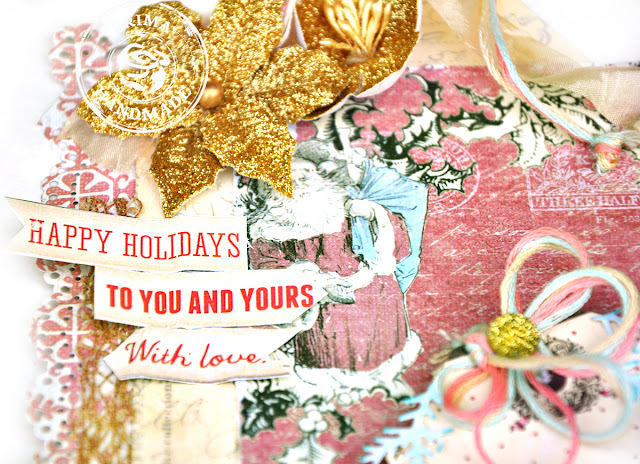 Prima's new Holiday Jubilee Collection combines the most gorgeous nontraditional colors for the Holiday Season in a very traditional way. Very unique and very inspiring. 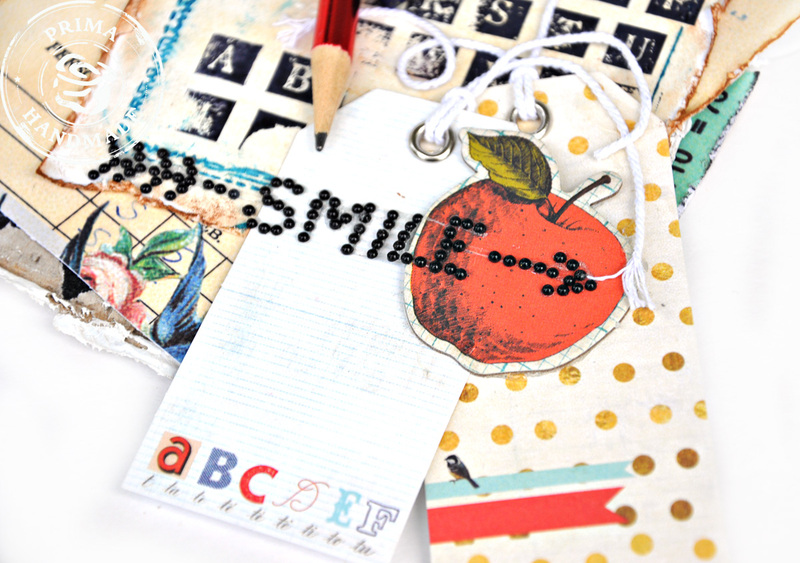 Made me want to create a joyful upbeat tag. 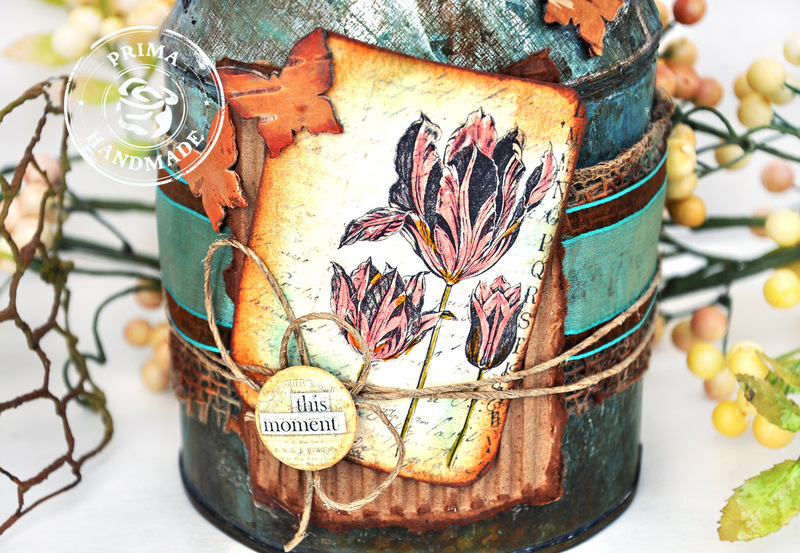 The collection has some great wood stickers - which are wood die shapes with adhesives. Thanks for looking and stopping by. Prima's Holiday Jubilee was great for creating this serene winter scene from an old holiday card/photo holder that I bought in a thrift store. 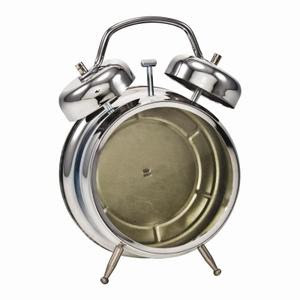 I bought the piece because it looked fascinating. I was not really sure what I'd use it for but at thrift store prices, ya gotta grab up the goodies when ya find them. When I saw this collection, I knew it was exactly what I had in mind. 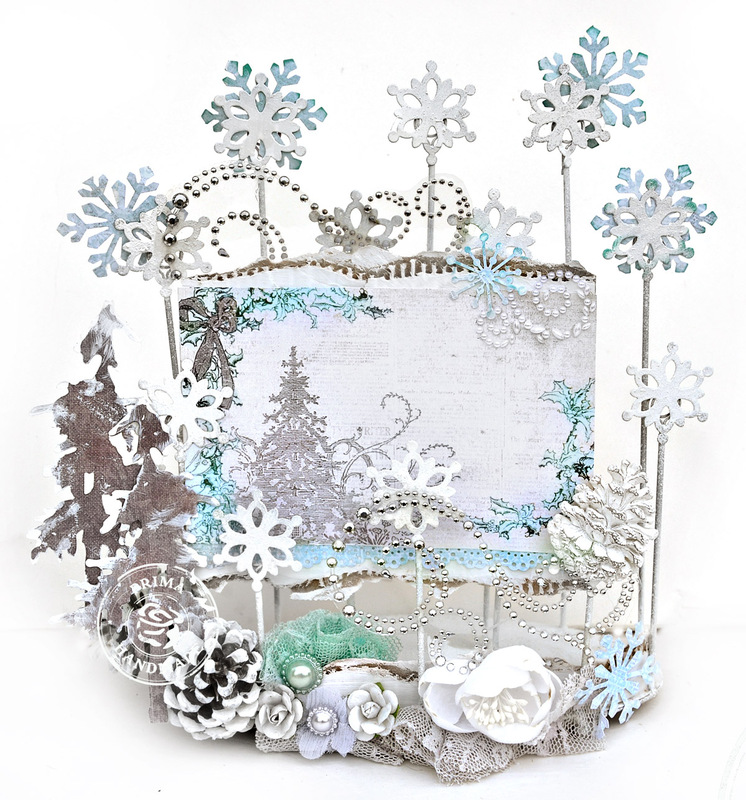 This piece can be used as a decoration or as a card holder, it's original intended purpose. OK my favorite thing to do with Say it In Crystal flourishes....I leave them on the plastic backing and just adhere the plastic backing to my project. This lets me use the crystal flourish on almost any altered item. 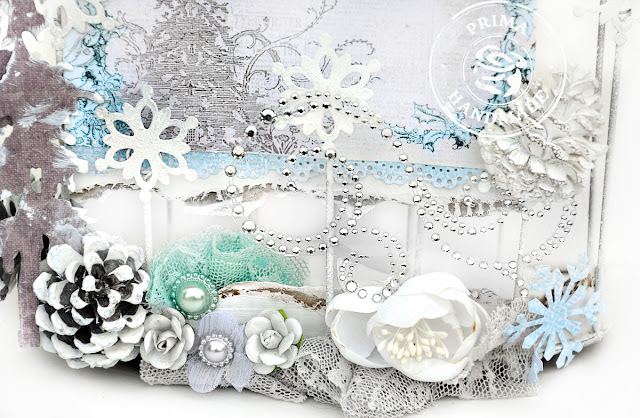 I used the Prima Merci Sprintime flowers as my snow by cutting them apart and unraveling the lace. Then I painted a pine cone white. Thanks so very much for stopping by. It's never too soon to start those Christmas and holiday projects. 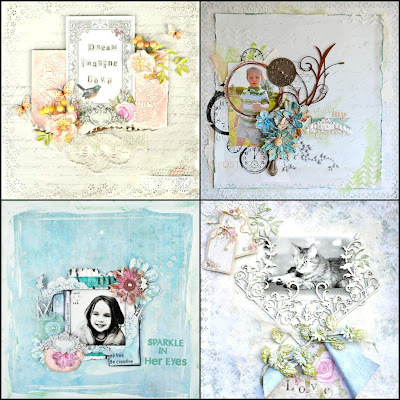 Prima's new Everyday Vintage collection has some gorgeous notecards that are paintable and super easy to alter with inks and markers. I was inspired by the charm of the Everyday Vintage Paintables and the versatility they have to be used on so many projects. Picking the project is easy. Deciding which gorgeous paintable card to use, now that's the hard part. 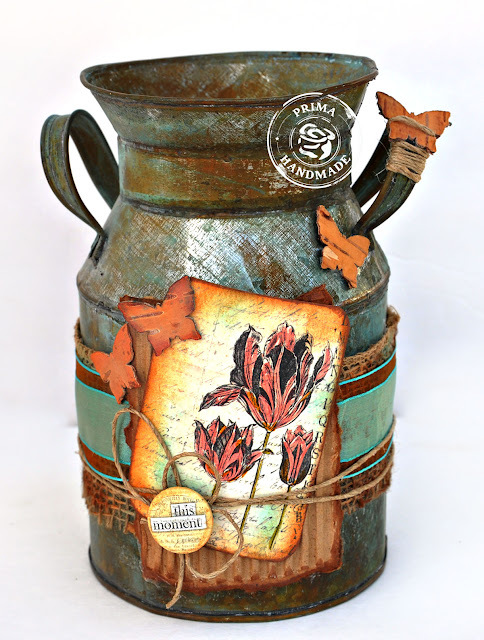 I had an decorator tin sitting in my basement that needed re-purposing and the new Paintables completed the vision I had in mind. 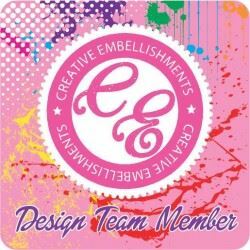 If you have not checked them out yet, they really are fabulous. 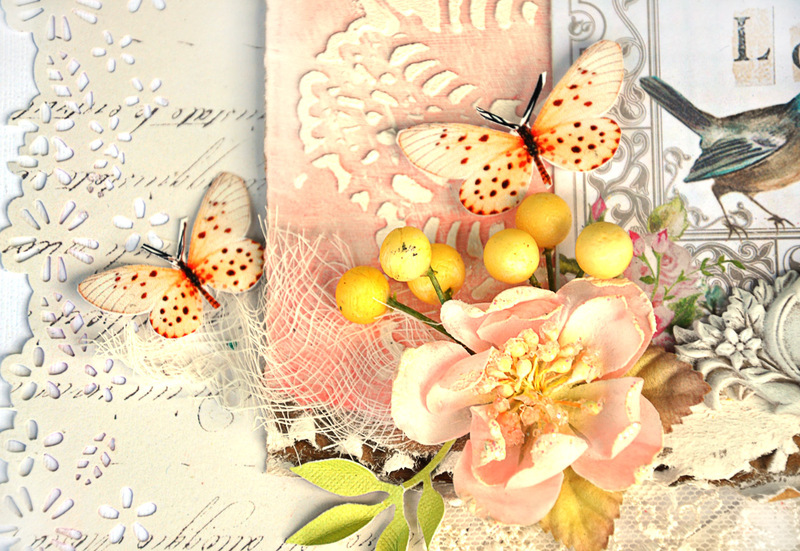 They also have a new innovative line of wood and bark embellishments like the butterflies shown below. You can ink them up if you want or leave as is. Gorgeous either way. 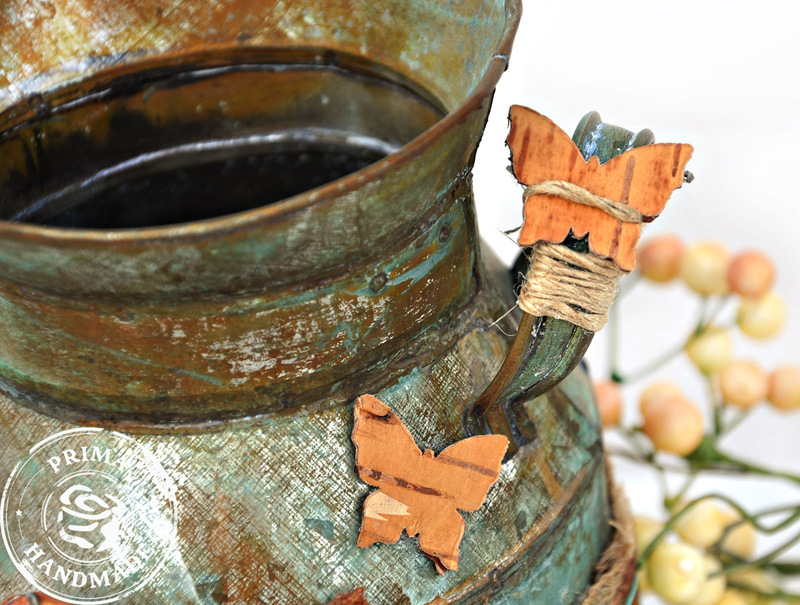 I added some jute to keep my butterfly in place on the handle. Ohhhhhh heavens! 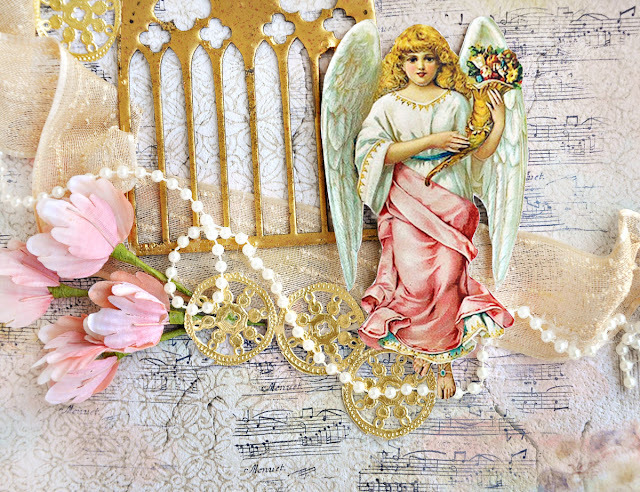 FabScraps has come out with their most heavenly collection yet! Angelic Christmas. 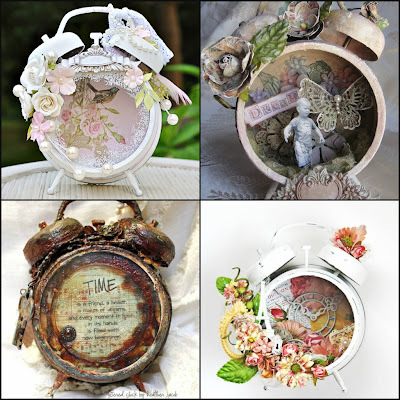 This collection makes my heart sing - it's so gorgeous. 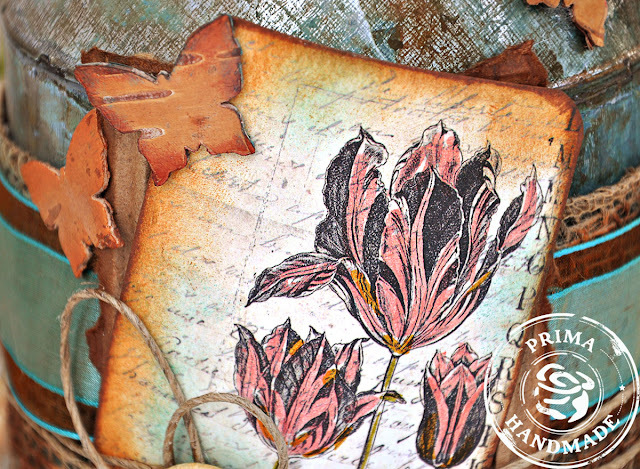 Not only are the papers sensational, but the chippies are crazy cool as well - ornate, elegant and perfect for the season. This is what I created. 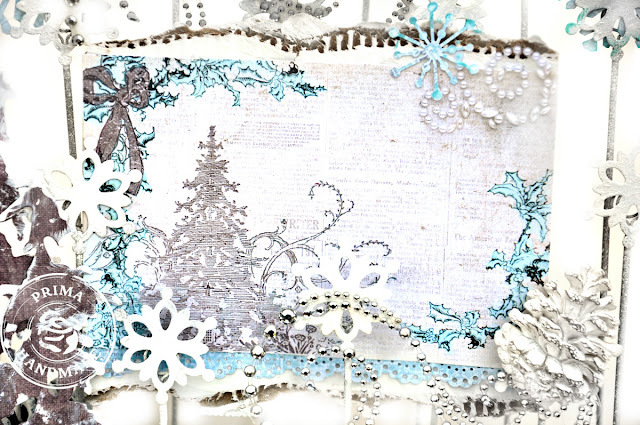 My base background paper is Angelic Christmas Collection –Angelic21 paper. 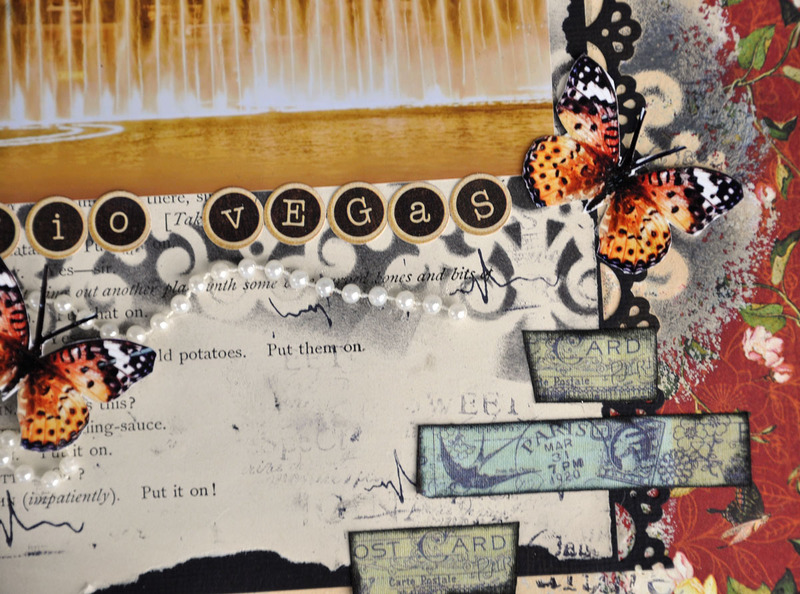 I added some additional inks and stamps to enrich the page and make it fit my vision. 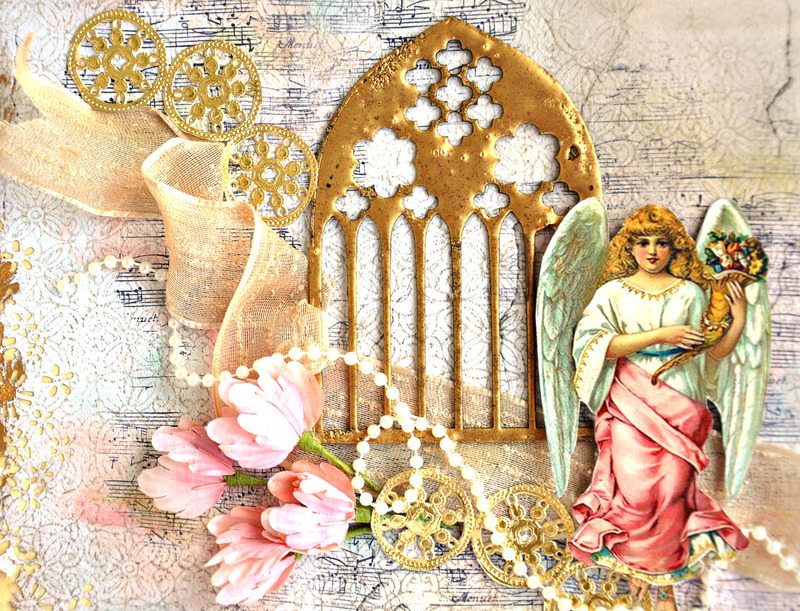 I cut an angel image from my photo paper and mounted it on cardboard. The layout is very simple but I guess if I had put anything else on it, it would not have added value to the piece. I like it clean and rather simple. 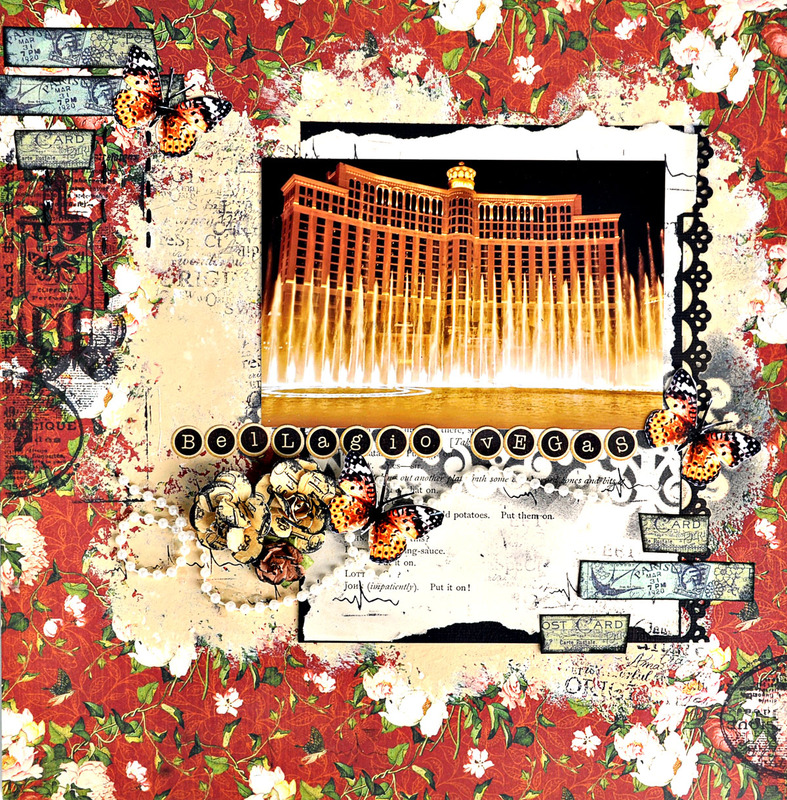 The unique FabScraps Cathedral Window Chipboard was covered thickly in gold embossing enamel . Thanks for looking. 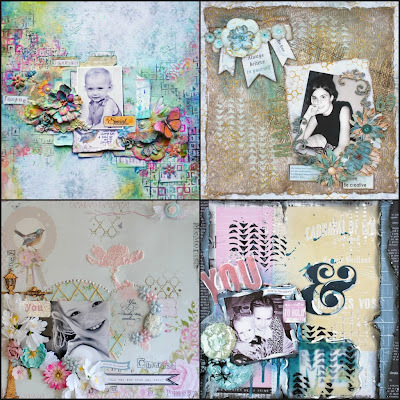 If you want to know where to buy FabScraps papers, go to the Flying Unicorns store. 2. 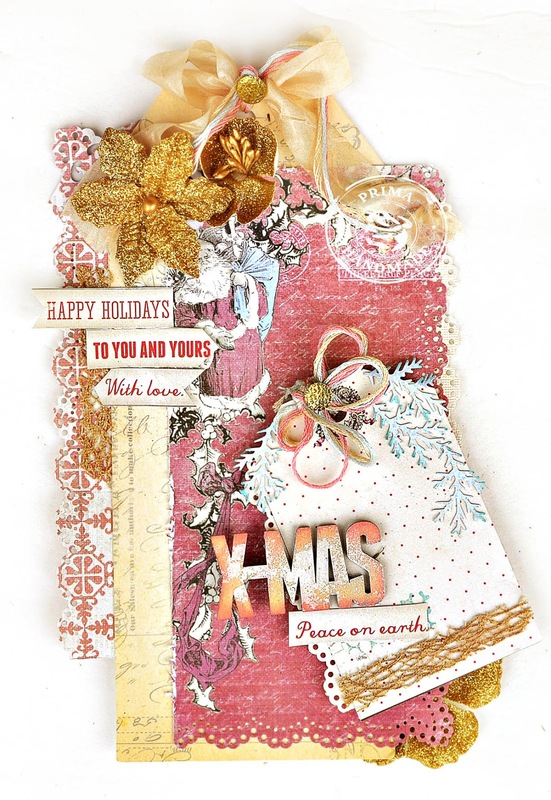 Start with FabScraps Angelic Christmas Collection –Angelic21 C61 008 – punch some of the edges with your favorite edge punch. 4. Grab a stamp that has a decorative pattern but not an overpowering one. I used music notes for the choirs of angels. Stamp randomly all around the page in black. 5. Using some light colored inks, gently dab ink around the stamped areas. 6. 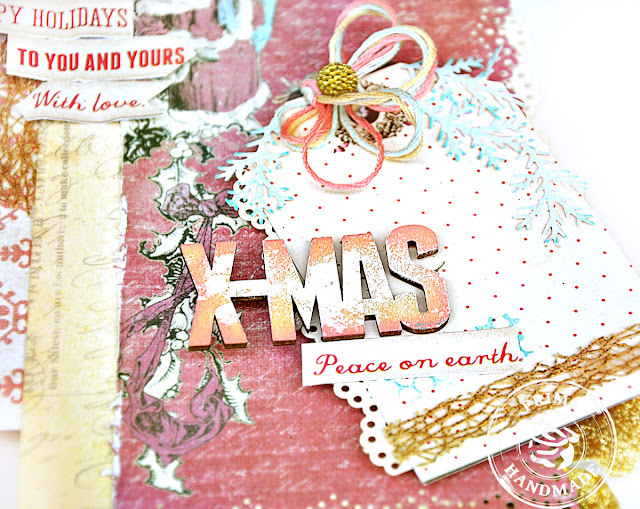 Glue the ribbon in a loose flowing and winding fashion diagonally on the page from left down to right. 8. 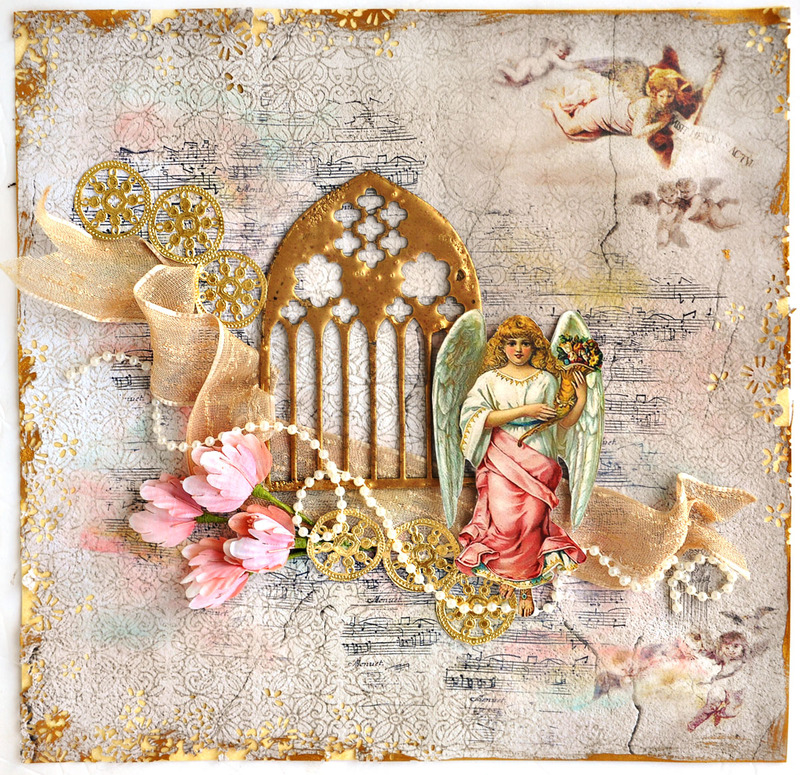 FabScraps Angelic Christmas – Cathedral Window chipboard DC61 010 – coat with thick layer of gold embossing powder and heat set with heat gun. 9. 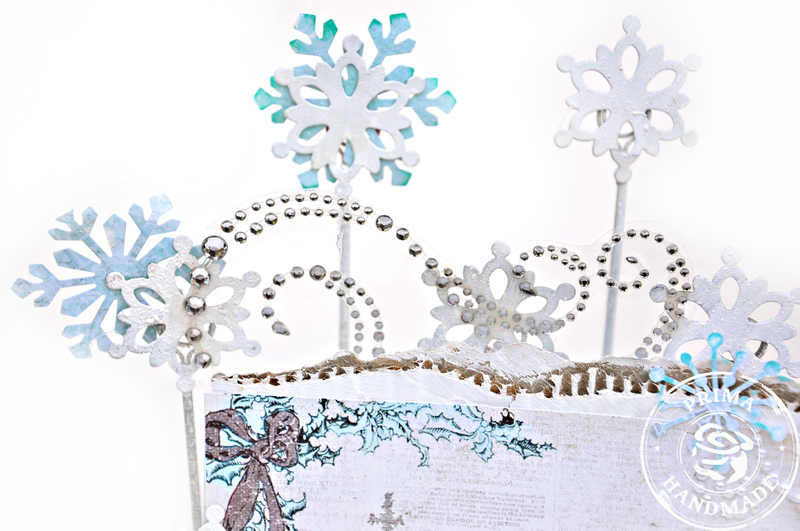 Glue to page covering part of the ribbon. 11. Cut angel image from photo paper and add dimensional glue dots to the back to make this pop off the page. I use cardboard to back my photo to give it dimension. 12. Glue over the Cathedral Window Chipboard piece. 15. 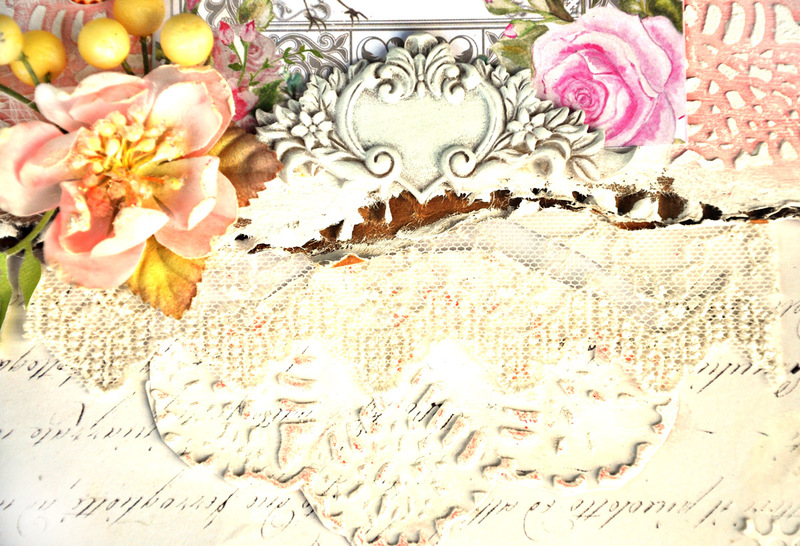 Glue some gold doily pieces to the page around the ribbon. 17. Rub some gold leaf wax around the edges of the layout. 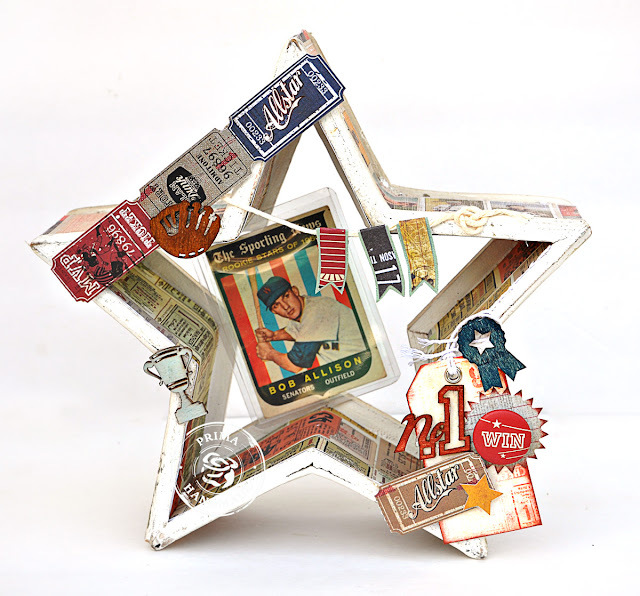 Here is Prima's Allstar Collection. It's retro, masculine, filled with antique sporty designs and imagery. 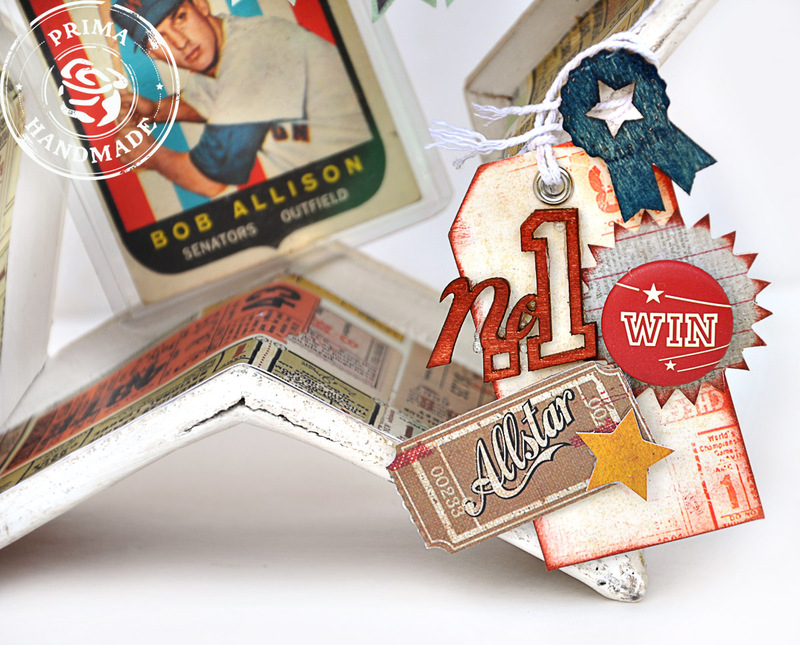 The Allstar collection is perfect for that special athlete or sports fan in your life! My mother has kept an old baseball card in her desk since 1959. While not a valuable card, it has sentimental meaning for her. 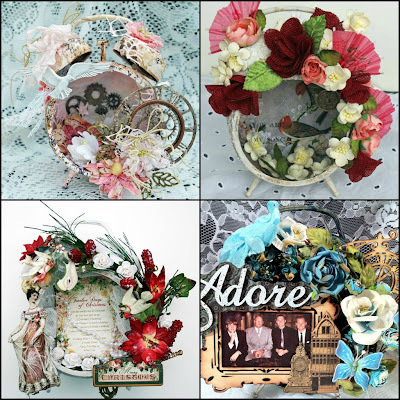 When I saw this collection, I knew it would be the perfect backdrop to hold her memory. So I bought this dimensional wooden star on clearance on the cheap. It's kind of breaking apart and the paint had been chipped - looks like it's been tossed around an attic for awhile (instead of sitting in my basement for a year). 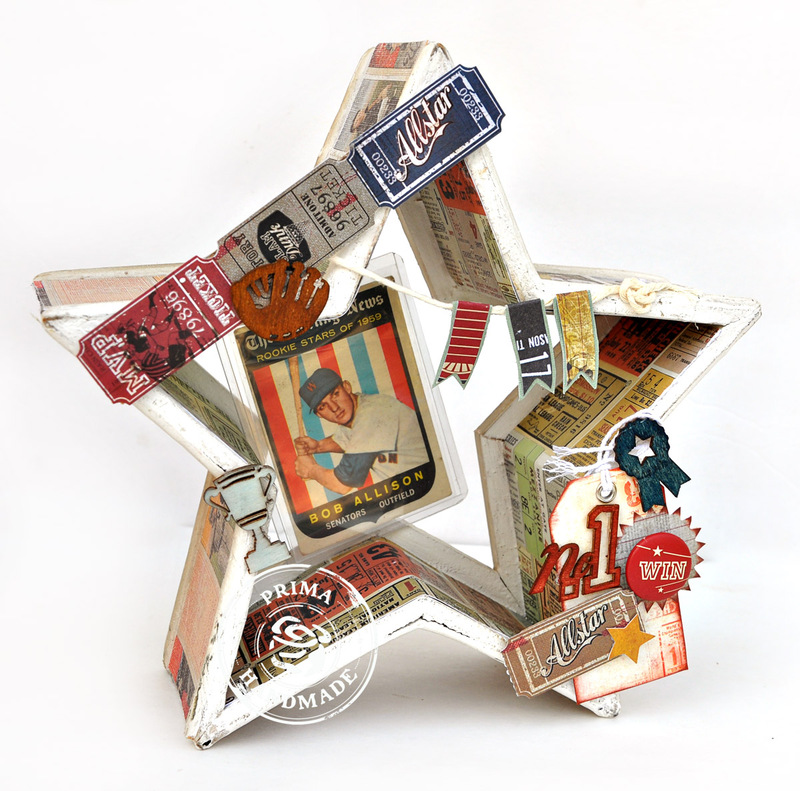 So the Allstar collection comes my way and what a perfect match for my ratty ol dimensional wooden star. I did not even bother painting it. I covered the outside and inside edges with Allstar Collection -Series Ticket paper 846206 and MVP paper 846213. 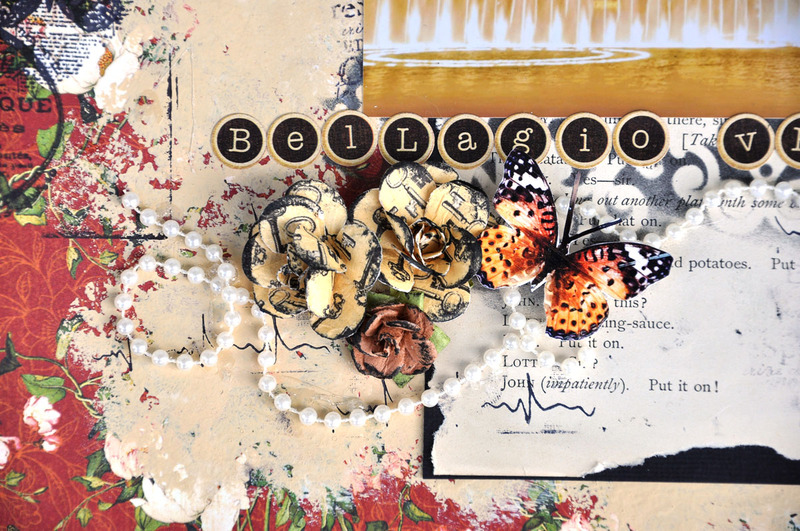 After the edges were covered, I pulled out embellishments form the collection and started adorning. 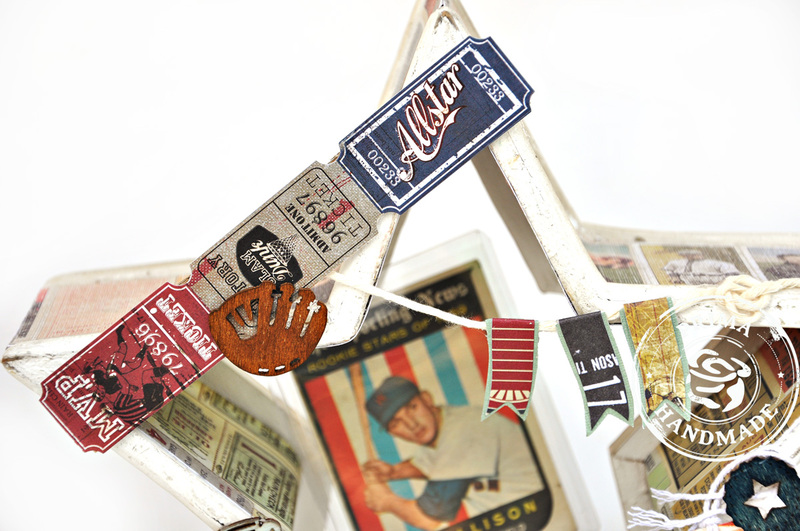 Tags, wood icons, flair buttons, stickers - all fun stuff to gussy up the piece. The wood pieces were stained with 890988 Ingvild Bolme Chalks -Farmer Jeans 890988 and Ingvild Bolme Chalks -Brick Wall 891022. Thanks for stopping by to take a look. I appreciate this a great deal.